The Quebec and a Museum docent welcomes guests aboard during RailFest. 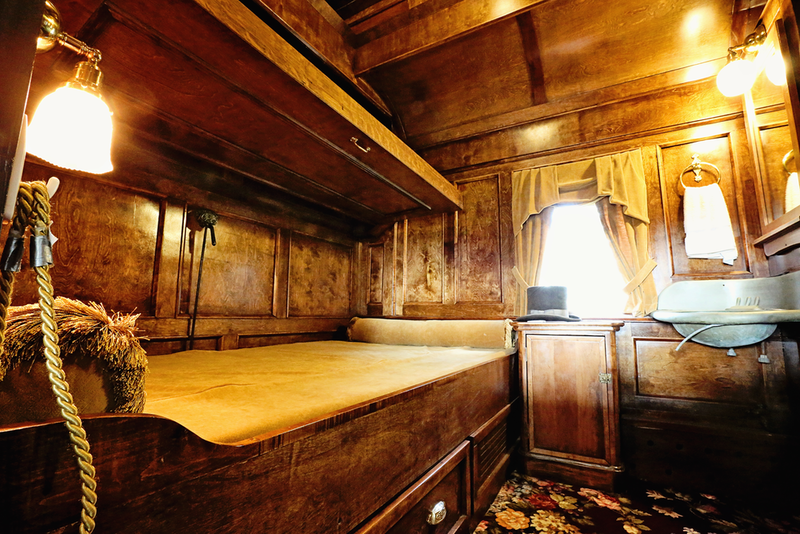 The Quebec was built in 1879 by Northern Railway of Canada for use as a passenger coach until it was bought by the Canadian government in 1922. The car itself was originally constructed entirely of wood, a practice that is no longer allowed, due to safety concerns. After the Canadian government purchased the Quebec for use as a business car, the entire structure was reinforced with steel plating, and the layout of the car was changed from a passenger car to that of a business car. Today, governments, corporations and businessmen own private jets in order to do business across the country and around the world. So too, in the early 20th century, it was common for governments, corporations, and businessmen to use private rail cars for that purpose. Like today's corporate jets, business cars were very luxurious, providing office space for the official, as well as living space for him and a small staff whose job it was to provide food, and ensure the car was clean and presentable at all times, as well as look after the rail car's internal mechanicals. In 1962, after 86 years of riding the rails, and nearly 40 years of serving as an official government business car, carrying prime ministers and dignitaries across Canada, the Quebec was retired to a railyard in Winnipeg and scheduled for demolition. On the very day Quebec was laid on her side to be burned, she was discovered by American rail enthusiast Arthur E. LaSalle. After pleading with officials in Canada, he managed to purchase the Quebec for $1,500. She was flipped back onto her trucks, and shipped via rail to LaSalle's hometown in North Carolina, where LaSalle used it as an office. By 1964, Quebec was moved to Florida as part of a railroad exhibit there. In 1972, she was sold to a park in New Mexico as the centerpiece of a planned museum in Carlsbad, which never materialized. Ironically, on her trip from Florida to New Mexico, Quebec passed through Rosenberg on the BNSF line, going past what is now the location of the Rosenberg Railroad Museum. Due to a lack of security during her time in New Mexico, Quebec was badly vandalized. In 1981, she was purchased by the George Ranch Historical Park in Richmond, Texas. However, the George Ranch never followed through on plans to display the Quebec, and in 1993, they decided to auction her off. At that time, the Quebec was purchased by the Rosenberg Railroad Museum as one of our first artifacts. 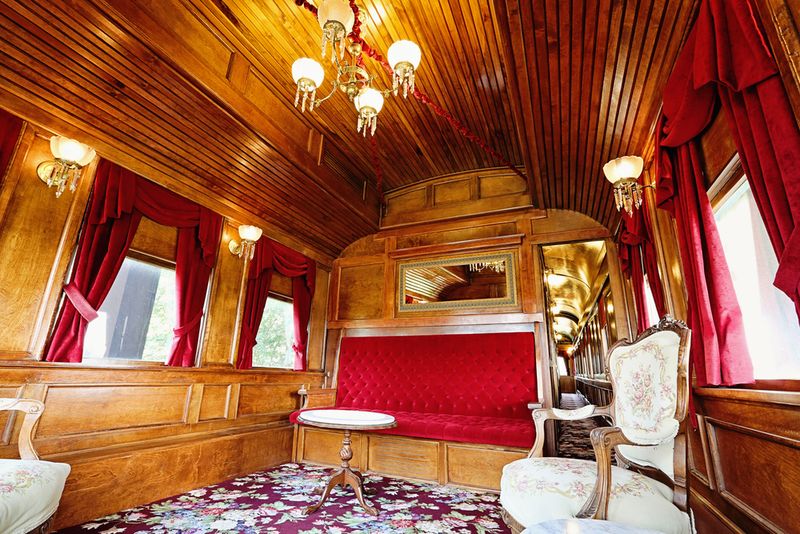 She was restored to the full glory of a late 19th century business car, and opened to the public on 6 June 2009. 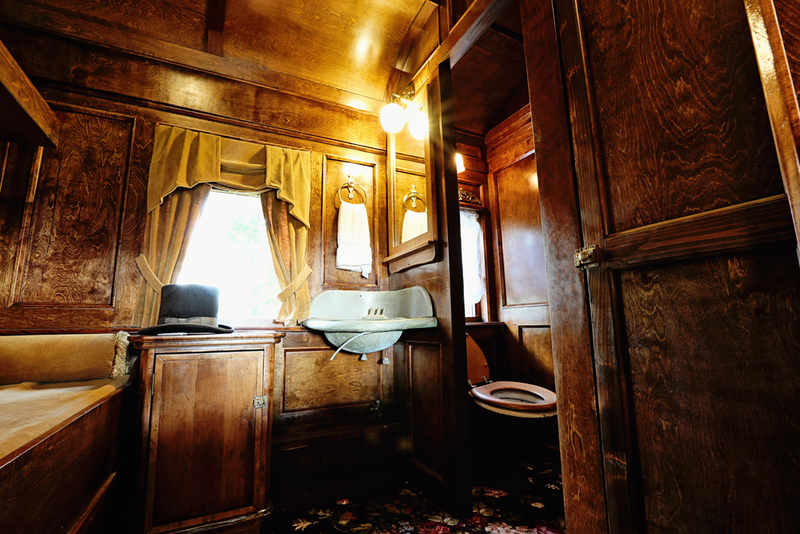 The Quebec is a three bedroom business car, with a dining room on one end, and a parlor/office on the other. Each end of the car has an observation deck, which is a rare feature for a business car. The first bedroom is for the official who officed from the car, and the second bedroom was for any guests he might have. The third bedroom was for the steward, whose duties included cooking, cleaning, serving, and coordinating supplying the car at stops made along the way with things like coal for the stove, blocks of ice for the icebox, food, wine, paper, ink and whatever other essentials a rolling office might need. The Quebec also possess a kitchen, a bathroom and a mechanical room. The Quebec, originally built in 1879, is one of the oldest structures in Fort Bend County of any kind, and is certainly the oldest rail car in the area... possibly the oldest rail car in the state of Texas. 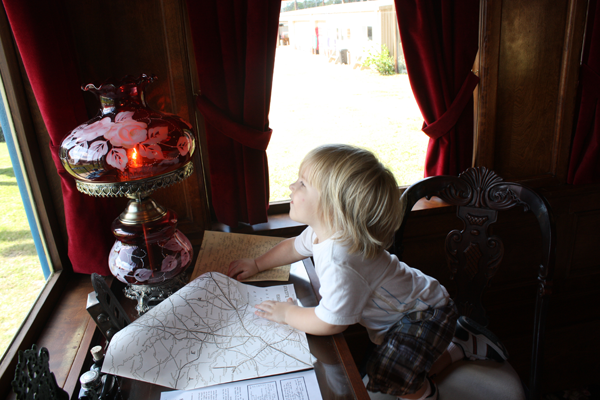 You are invited to come to the Rosenberg Railroad Museum and see this unique treasure which has sheltered Canadian Prime Ministers, British princes, American presidents and governors, and people from all over the world.